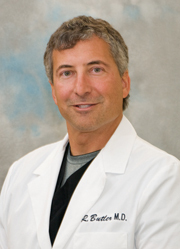 Dr. Robert Butler specializes in Emergency Medicine and is a board-certified physician. He earned his medical degree and performed his medical training at the University of Western Ontario in London, Ontario in Canada. Dr. Butler has been associated with IRMC since 1993.